When it comes to researching and writing about different brands, there are two things that drive me nuts more than anything else. The first one is dealing with pointe shoe manufacturers that refuse to answer inquiries no matter how innocent the question I pose. Information that could be so easily obtained straight from the horses mouth is a huge challenge when the horse is afraid to talk to me because I mention this blog. It’s amazing, but true. Finding the maker of the long-vamped, low profile Casca Nueces has been a tough case to crack. 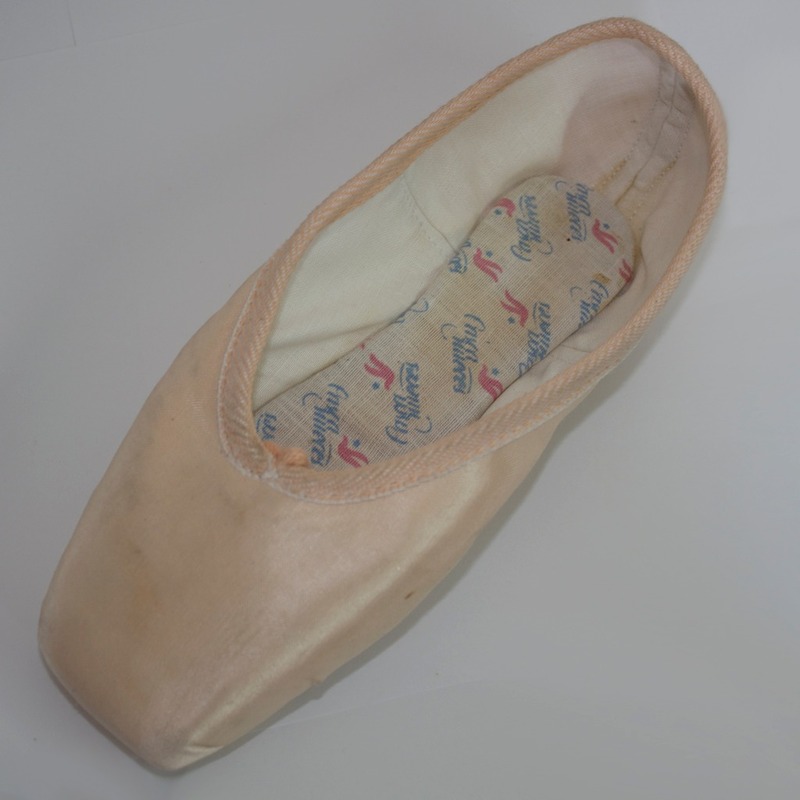 The second challenge is seeing lots of images and/or sellers of a particular pointe shoe in decent quantities with no trace or mention of the original origins of that shoe. 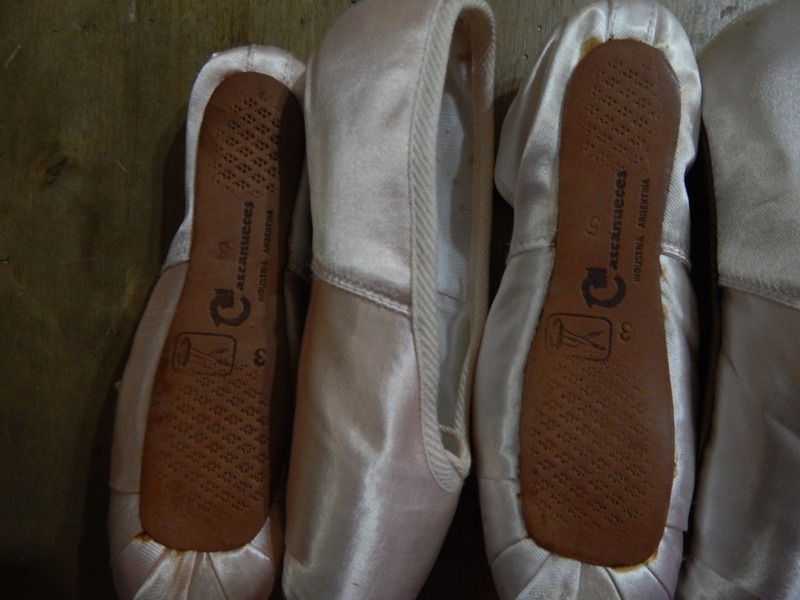 This is my frustrating dilemma with the Argentinian pointe shoe Casca Nueces or Nutcracker as it translates into English. You can read my first post about discovering this shoe here. 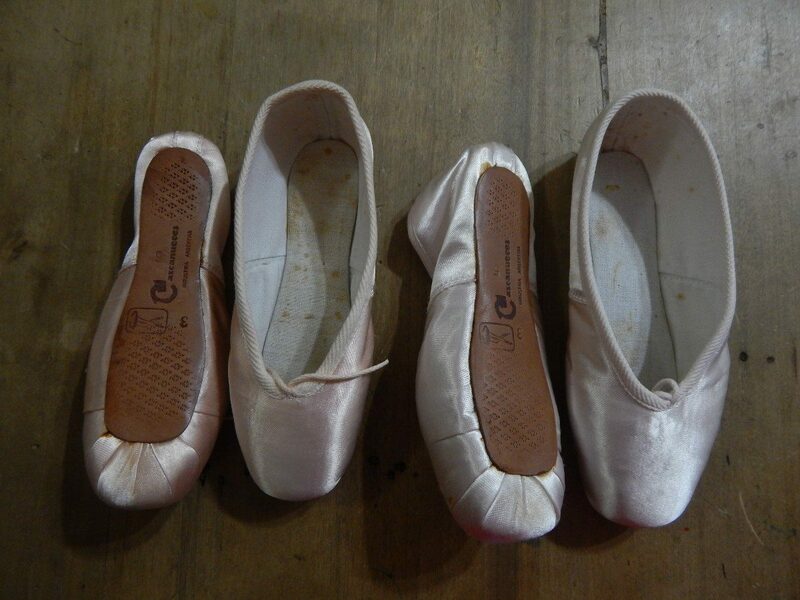 Here I am at post number two about Casca Nueces pointe shoes, yet no closer to finding out where dancers in Argentina happen to purchase these shoes. With the specialized shape of the toe box, this particular model is definitely not a style for the average foot. Notice the logo on the makers stamp that includes a star shape and what appears to be a bird in flight. 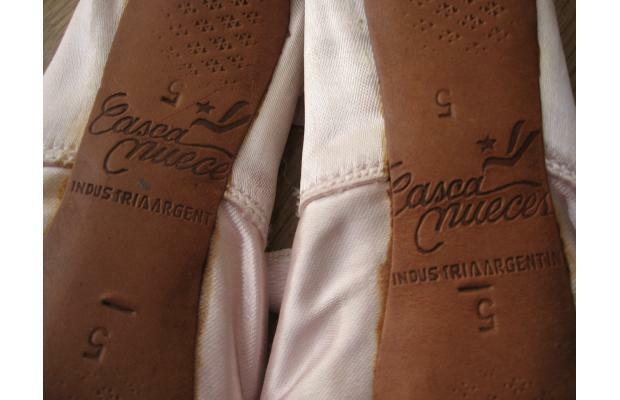 The name Casca Nueces is written as two separate words and is printed horizontally across the center seam of the shoe. As you can see by the photo, the makers stamp includes the words Industria Argentina, or simply a product of that country. At the very bottom of the shoe bag on the left side we see the name Raul. Unfortunately, the name after that is obscured by the fold in the plastic. Who could Raul be? In the dance supply trade of apparel and shoes for people in Argentina, one name appears that could be the name on the bag; Raúl Jorge Cecconi. 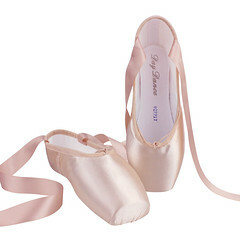 I found one connection that makes sense between the name Raúl Jorge Cecconi, Argentina, dance supplies and pointe shoes. Issue.com is a website that lets you view the pages of magazines online. On page 75 of the following Spanish publication of Balletin Dance Magazine, you will see an advertisement for a company named Teletone Tap RJC on the bottom right side. If you click on the ad it will enlarge so you can read it better. Raúl Jorge Cecconi operates a company that has been selling dance shoes in Argentina since 1940. According to the ad, he offers 30 different models of tap and pointe shoes. There is only a phone number listed for contact. Since I am not planning on making a long distance call to South America, this is as close of a guess as I can make right now. Unfortunately, just because a dance shop puts a pair of pointe shoes into a bag imprinted with their logo doesn’t mean that they manufactured the shoe. 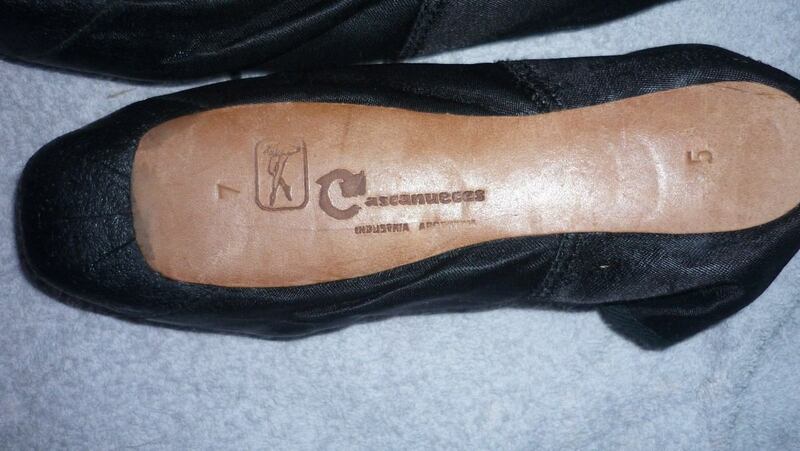 However, the shoe stamp and the bag logo showing the legs of a ballerina match. The sole stamp includes the image of a ballerina on pointe and the name Cascanueces as one word. The name is now vertical instead of lining up with the center seam. This black pair is technically the same brand, yet one can notice that the way the manufacturer stamped this sole is completely different to the third image above. Here, the spelling of Casca Nueces is all one word.This model also includes Industria Argentina as part of the makers stamp. The ballerina image is clearly seen here and matches the same logo used for the product bag above. Why are so many of these shoes available online, yet have no source that can be easily found online? Why are there two different designs for the maker stamp? Is one style an older version that was discontinued? Was the original brand bought out which would explain a new logo and name image redesign? 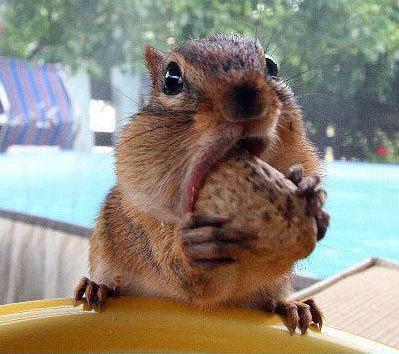 Is Casca Nueces a brand name or a model name? Is the original Raúl Jorge Cecconi still alive? If the business was founded in 1940 and it is now 2013; the chances are good that the company is now 2nd or 3rd generation. 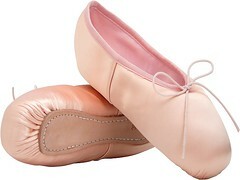 If it was as easy as entering the ” pointe-shoe-name.com” into my computer search bar to find any company anywhere in the world, this website would just be a series of links. Many dance wear manufacturers have completely different names for their official websites other than the name of their makers stamp. 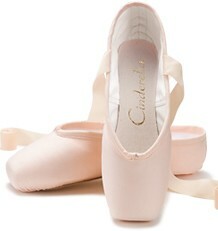 Where the heck can I buy a pair of Nutcracker pointe shoes? Some cases are harder to crack than others. It is still surprising that in this day and age of easy access to the Internet and cheap hosting plans that some businesses appear to operate locally instead of globally. 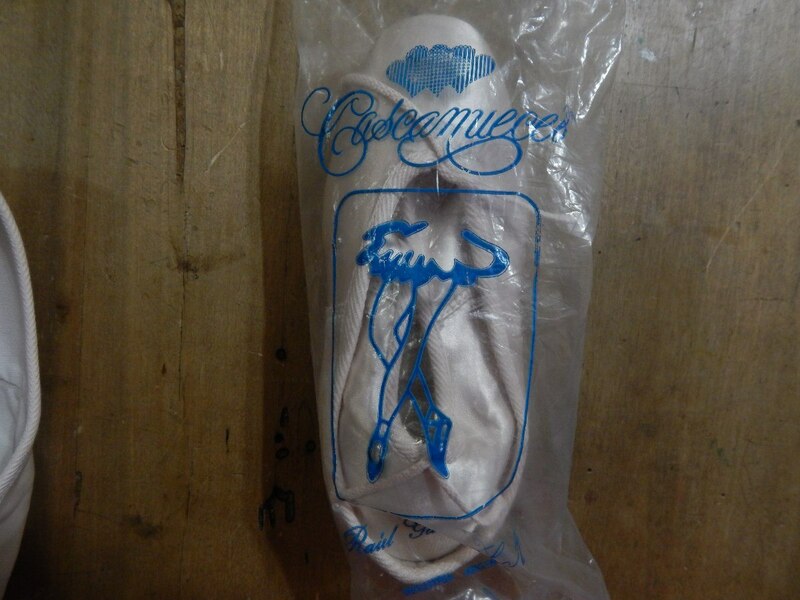 Who knows, there may be a website out there for this brand of mysterious nutcracker pointe shoes from Argentina. Hopefully, we can crack this case soon. 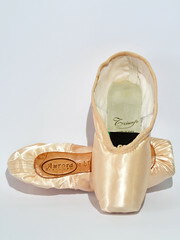 This entry was posted in Mystery Pointe Shoe Brands and tagged Argentinian pointe shoe brands, Casca Nueces pointe shoes from Argentina, Nutcracker pointe shoes, pointe shoes made in Argentina, Raúl Jorge Cecconi, Spanish nutcracker pointe shoes, Teletone Tap RJC. Bookmark the permalink. Hello! I’m a high school senior and I have to write an English term paper on a collectible item. I’m a dancer so I’d love to do something dance related! My first thought was pointe shoes, and so I was wondering if you have a collection of your own or if you know of anyone who does? I don’t know how much information there is out there on that topic, so I’m just trying to find people who can help me learn not just about pointe shoes, but the hobby of collecting them! 🙂 Thanks!! 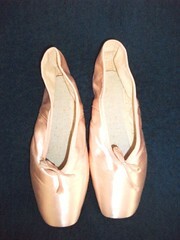 I do have a pointe shoe collection of my own, although it may be considered small by more prolific collectors. There are a few readers of this blog that have many, many pairs. I believe I am up to 13 pairs right now. Any questions you have about the hobby of collecting, feel free to ask. That’s really cool! And thank you! 🙂 I was just trying to see if there was enough information out there for me to write a report on collecting pointe shoes, but it’s seeming to sound like there is! As for any questions I have, we need to do an interview with someone who collects the item we choose for our paper. This can be done entirely online through email. If you would be so kind, I’d love to email you about your collection, or if you could send me links to other bloggers or places I can find people who collect pointe shoes, that would also be greatly appreciated!! Thank you so much! 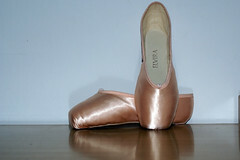 I think you may have great luck by contacting Lisa O’Brian, an avid pointe shoe collector with over 100 pairs of shoes. She has some very interesting You-tube videos of her collection. 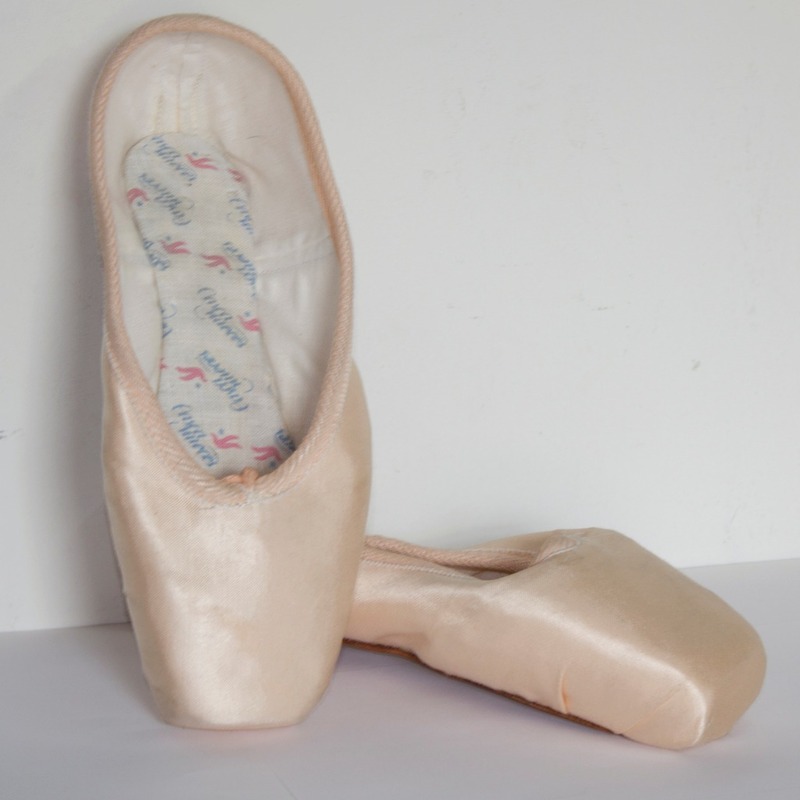 I had the pleasure of wearing cascanueses pointe shoes while dancing in Germany – they are by far the best pointe shoes I have ever come across – please help me find them to purchase – for myself but also to distribute in Australia….. 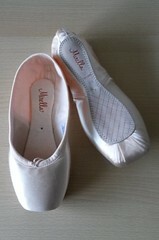 Still have my favourites, though – Merlet Etoile and a pair from Repetto I bought in the mid 90ies in Dortmund, Germany.